Almost every ethical SEO agency knows the importance of target audiences. They spend a lot of time tracking segments of them down and learning about them is rightly regarded as a critical activity. However, these processes are only part of what has to be done. A target audience will gradually go elsewhere if it is not informed and entertained. A search engine optimisation blog can do this, but only if used responsibly. 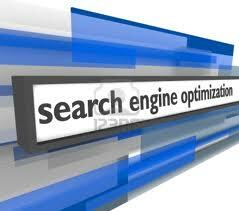 At Searchengineoptimisation.co.uk, we produce site-specific campaigns. Content provision forms a key part of our efforts. Content might not be king in optimisation but it is certainly in line to succeed to the throne if it is of high quality. If the design of your website is pretty and pleasing then it ensure you that it must visited by number of people. Each target group will have its own interests. These can be discerned in several ways.Marketing social media are particularly useful in this area of work. However, looking at the sites of competitors can be equally rewarding. Once a blog is up and running the comments left by users can be illuminating too. It is not enough to respond to user interests. Firstly, the interests must be sustained. Secondly, the interests must be shaped. This means that blog content should give users new insights which deepen their existing enthusiasm. While text must bear the biggest burden on the bulk of sites, some sites benefit from the inclusion of video. These can put across information in an entertaining format. If a blog is poorly structured, users will sadly lose patience with it. Therefore, it is vital to use blank space effectively. This can make it simple for users to digest the data before them. One Response to "How To Develop The Interest Of A Target Audience"
Well Grace the post very well written I believe that to get in touch with targeted audience you need to do research a lot and your brand should be good enough to get trust of your customers.